We thought it would come sooner but now it is here. Google made this switch over two years ago but Bing is a bit slower to adopt these things. Some were hoping that Bing would hold out and not adopt AMP. But I guess that is not true. 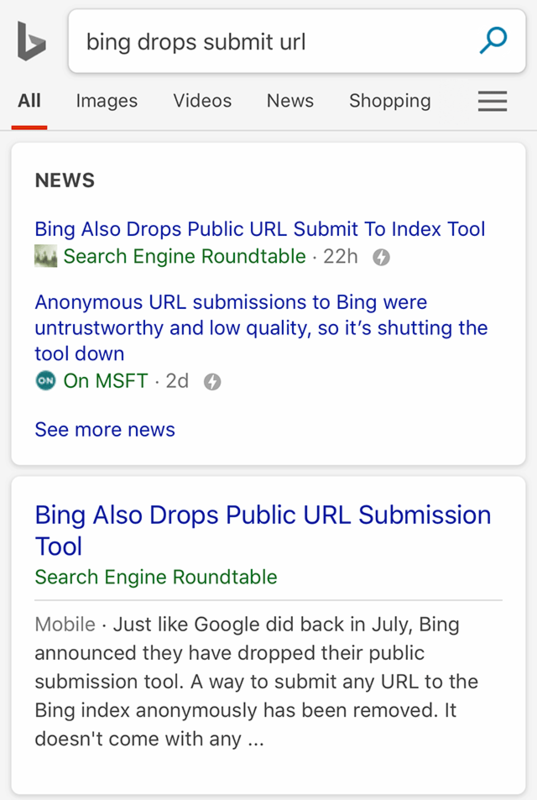 Notice how just the "news" section has the AMP version but the main web search result does not. That is by design right now. 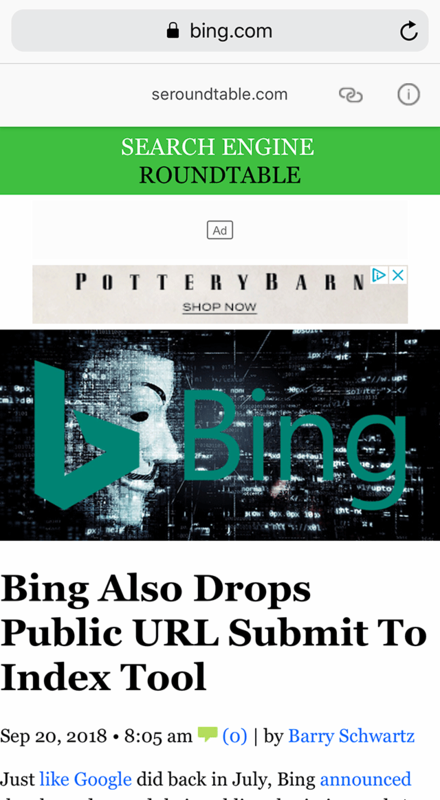 There is a lot of other coverage on this at Techmeme.